Yup, I have started to packed up my things since Monday, but still until now I am not done yet, maybe I wasn't that focused and willing to finish to pack all of it? Or may I am just confuse on what to bring. As it will be totally a different world for me and definitely a different weather / seasons I'll be experiencing 4 seasons now, as I am used to have just 2 the Summer and the Rain. Everyone is asking for those things and clothes that I won't be bringing with me. I was totally speechless from my cousins and other relatives, as much as I want to keep my things and will be seen them when I get back and hopefully that I will be bringing it with me when I get back to US. There are some things that I gave and others which I entrusted to someone who deserves to have it. I do certainly hope that they will really take good care of it as I am really careful with my things. I hope that I'll be done with all of this mess tomorrow. Don't bring too many clothes kasi pagdating mo dito, I'm sure you will be buying more. Just make sure you have important documents with you like Transcript and other things that you may need if and when you apply for a job here. I didn't bring mine so I had to ask my family to send it here. Also check with the airline kung anong weight limit sa baggage. Masyadong mahal ang excess baggage ngayon so you don't want to have too much with you. You may just end up paying a lot of money for things that you may not even use pag andito ka na. Goodluck. Enjoy the rest of your days with your family and friends. dont bring too many clothes coz you'd be like me. i had two huge luggages but after 8 months im going to send a lot of those clothes back to pinas. hehe. weird!!! oh by the way, nov, unsa ako name sa imo link? wala lage ko kita. i added u na pud diay sa ako page. pls add me pud ha. thanks nov. happy trip. Yes, Juliana and Jenn are right! Welcome sa US! I hope that you will have a safe trip. It will be another place, but as long as your hubby is there..okay lang. BTW, I am hearing two different songs..yong background music at yong youtube music. P.S. Your blog is featured in SocialSpark. Oist Novs, mulakaw na jud diay ka ha? Mamiya na ka? Hehe. Happy trip ha and all the best! Ingatz. 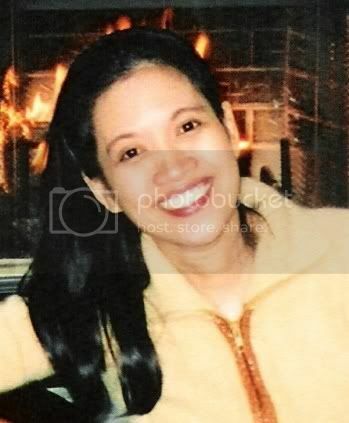 Hello gwapa molarga na gyud diay ka diri..Happy Trip nalang ha!mingaw gyud na kaau dai pareha nako sauna kalingaw ko hilak sa plane labina ako lang isa wla ako hubby pero kaya na nimo dai..ikaw pa..hehhe..bitaw oi taga amerika na gyud ka ani,,joke lang bitaw oi...INGAT NALANG!!! Leave some for me, sis you buy new clothes in New York na lang. Mingaw na ko nimo sis wa pa gani ka kalakaw. Anyway, please take care always. Pagbalik nimo, dala ug snow ha. salamat sa paglabay. makahuman ra lagi ka ana ug pack up. :D unsa motabang ko nimo? heheheh! joke...pwede man pud akong soul motabang ba :D. toinks! nanghadlok ba!